This morning I had a site visit to a large garden I’ve been working on over the last 6 months or so. 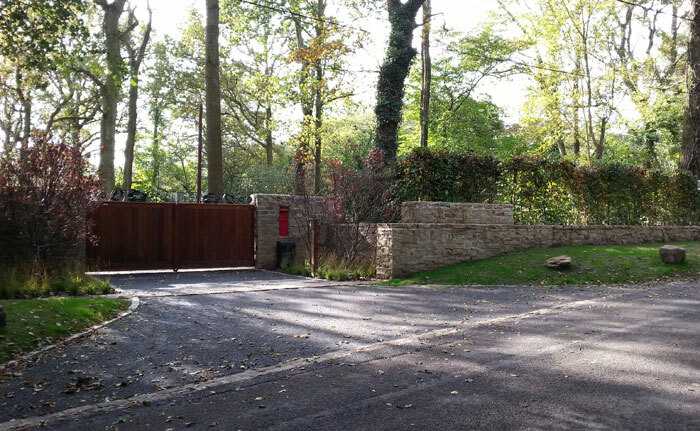 The first major part of the garden to be tackled was the entrance; as you can see from the before photo below, it was rather uninspiring with a bank with a basic fence on top, two rather narrow brick piers and a curvy gate with some fairly ordinary iron work. 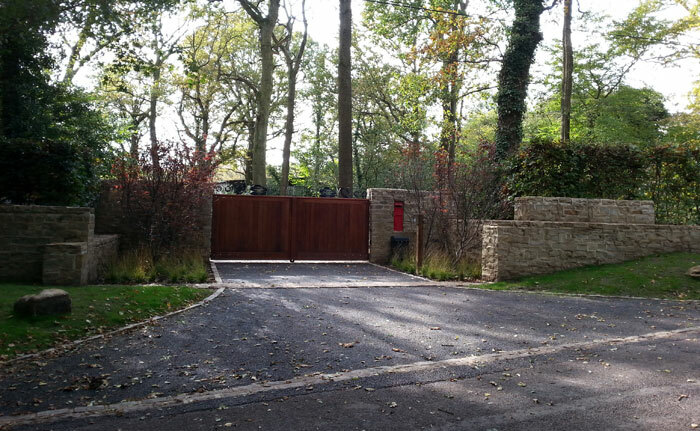 The new design has replaced the bank with stone, this has been topped with a newly planted mature beech hedge, and although it’s not obvious from the photos, the alignment of the drive to the road has also been altered to allow the new walls to run perpendicular to each other (the previous fence panels weren’t actually at right angles). 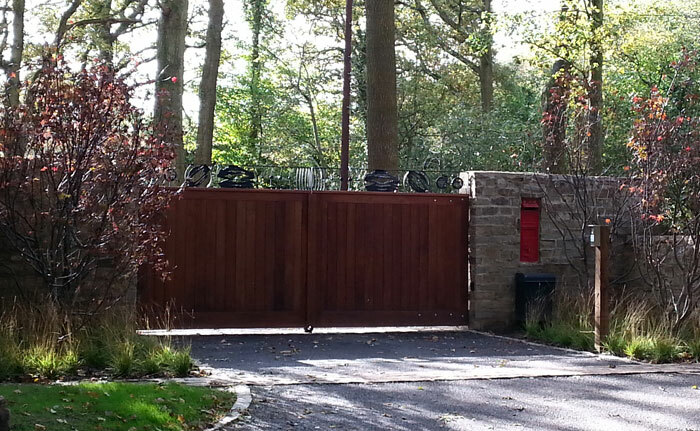 The gates have been altered to give a more contemporary square profile, and this has been topped with some bespoke ironwork with a theme of planets which was designed especially for my client. The new intersecting walls give a more contemporary feel to the entrance, while the simple plantings of 4 mature purple leafed Japanese maples underplanted with an ornamental woodland grass bring light into the lightly shaded space. The ‘post box’ is a reproduction box for delivery only! And the tarmac drive is awaiting its final surface, though the setts that define it are all part of the new design. This close-up shows the ironwork in greater detail; it was made by the very talented Christian Funnell who is now working on a coordinating post for the gate remote. The landscaping works, which also include making bridges and ponds within the grounds, are being done by the talented Esse Landscapes, a multi-award winning company of craftsmen based in Sussex.